Pilonidal cysts are sacs that contain hair and skin debris occurring at the top of the crease of the buttocks or at the bottom of the tailbone or coccyx. The cyst appears when hair gets imbedded in the skin and could result in an infection which entails the presence of pus. It occurs in the form of a small hole that may cause severe pain and ooze out pus and blood when it ruptures while releasing a foul odor. The cyst is more common among men in comparison to women and forms an abscess. 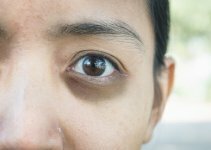 People who sit for long periods of time are more prone to develop this type of cyst. Hormonal Changes: The release of hormones can cause substantial changes in the body. There are some stages of human life that involve an increase in the level of hormones, puberty being one of them. These hormonal changes account for simultaneous changes in the body as well. Sometimes it may cause excessive hair growth that could get embedded in the skin and develop into pilonidal cysts. Congenital: There is a chance that some people are born with such growth. They may occur as a result of embryological cells that were present at the wrong place. 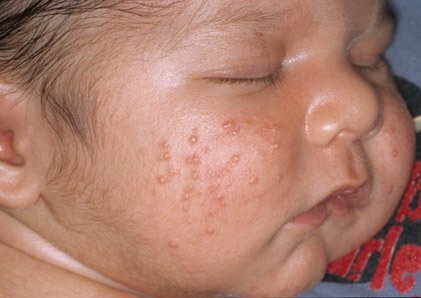 Over time as dirt and skin debris accumulates in the area, they may cause infection and grow into a cyst containing pus. Sacral dimple: In some cases, children are born with a dimple just above the crease of their buttocks. 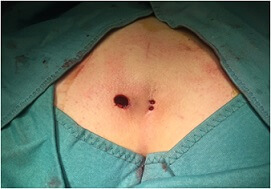 Skin debris and dirt accumulation can infect the space and result in the development of pilonidal cysts. Clothes: Clothes are made of different materials; some of them may be rough on the skin while some people may be allergic to certain clothing materials. Repeated friction between the material and the body can cause pilonidal cysts to occur. It causes immense pain and a burning sensation. Sitting: It may seem as a peculiar cause but in reality, it is the reason behind the cyst in most cases. Sitting for a long period of time exerts pressure on the tail bone. Too much pressure along with heat and sweat could result in the formation of this type of cyst. Moreover, it may also result in hair breaks in the same area that could lead to the growth of pilonidal cysts. Hair: Sometimes hair gets embedded into the skin and eventually, the defense mechanism of the body then treats the skin as a foreign body. It tries to get rid of the hair just as it would do in case of a splinter entering the skin. This leads to the formation of a cyst containing pus. When the cyst ruptures, the skin gets rid of the hair that was trapped. Medication: In case an individual does not experience severe pain and the diagnosis of the cyst is made in its early stages, doctors recommend treatment by the use of medication. They may prescribe heavy doses of antibiotics that help to fight a wide range of bacteria. Regular shaving or removal of hair and maintaining high standards of personal hygiene are also a part of this kind of treatment. Phenol injections: In this procedure, the doctor administers a dose of local anesthesia to the patient before injecting the chemical compound- phenol into the cyst as an antiseptic. This method causes the lesion to become hard and close. The treatment needs to be done for several weeks before it yields proper results. Also, it has a high rate of recurrence. Lancing: The treatment starts with the administration of local anesthetic, followed by opening of the abscess. The doctor then removes the blood, pus, hair and any remaining hair follicle that might be present. At the ends, the doctor uses gauge or sterile dressing to fill up the wound and allow it to heal. This procedure requires the patient to change the dressing at regular intervals, but once the wound heals, it has very less chances of it reoccurring. Surgery: The surgical treatment is the same as lancing. However, in this method, the doctor closes the wound using stitches. But the procedure is more likely to cause the cysts to reoccur. Pilonidal cysts cause great discomfort and severe pain. Consulting a doctor is imperative in case the symptoms like fever and swelling emerge. 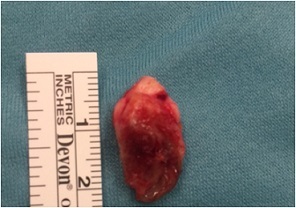 Moreover, leaving the cyst unattended or trying to pop it is dangerous and may complicate the situation further. A doctor will be able to advise the patient about the best possible treatment or procedure to go about this problem.